In 2387, the fleet participated in plot arch in the Ithassa Region. It involved a terrorist attack on DS17, resulting in the Vaadwuar taking control of the station. 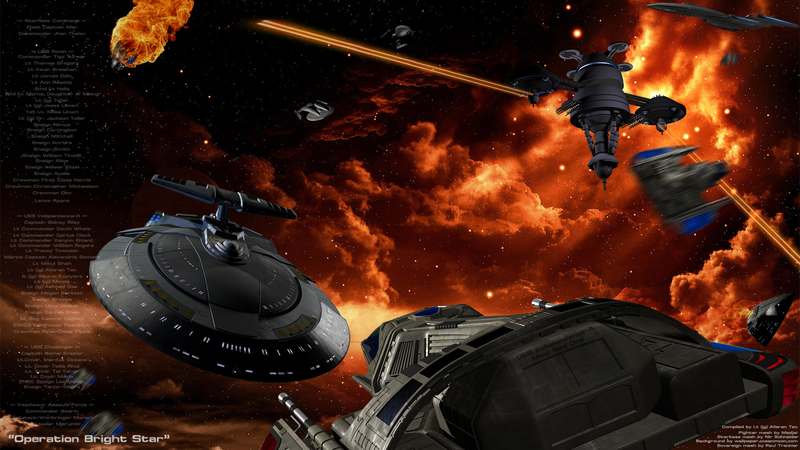 With a hope for a diplomatic resolution gone, Fleet Captain Mar organized Operation Bright Star. The operation was designed to retake DS17, and bring the Vaadwuar aggressors to justice. Today, we honor those who participated in this conflict with a new Service Ribbon, approved by the Captains Council. Any officer involved in this conflict is asked to contact their Commanding Officer to find out if they are eligible. For more information on our Service Ribbons, check out the Awards area on the wiki!